Visit of the most important museum at the search of Michelangelo's work of art, the genius of the renascence . 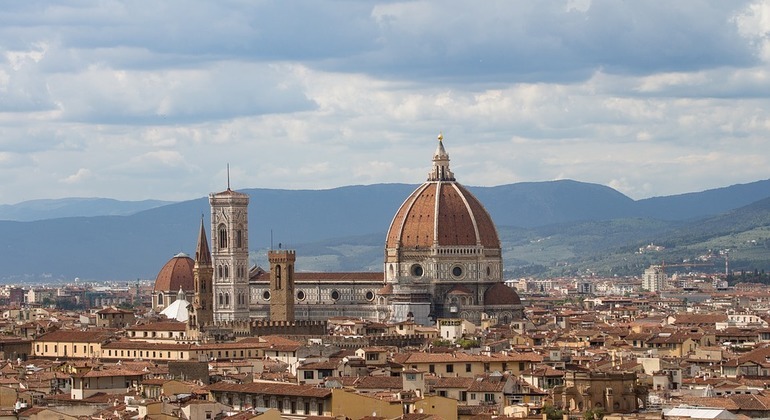 We'll visit the Accademia Gallery and the Bargello Museum. 1 h in the Academia museum where will admire the 4 slaves, the Saint Matthew, la Pieta and of course at the end the most paresis gem, the David. All the secret that you didn't know by the David and about the Master Michelangelo. After this, we'll visit the national Museum of Bargello where we'll discover a entire salon dedicate to the sculptures of Michelangelo and not only .Work of the artist of the youthful period. from piazza san marco ,turn left you will find the via ricasoli ,30 m it's the Academia Gallery .